Paul Bailey shares his highlights of London Design Fair 2017. Located in the creative heart of East London, the London Design Fair is a four-day industry event that brought together 500 exhibitors from 29 countries at the Old Truman Brewery from 21-24 September 2017. It is a part of London Design Week that is now so vast in its ambition and scale that it is hard to take-in the sheer size of the industry. 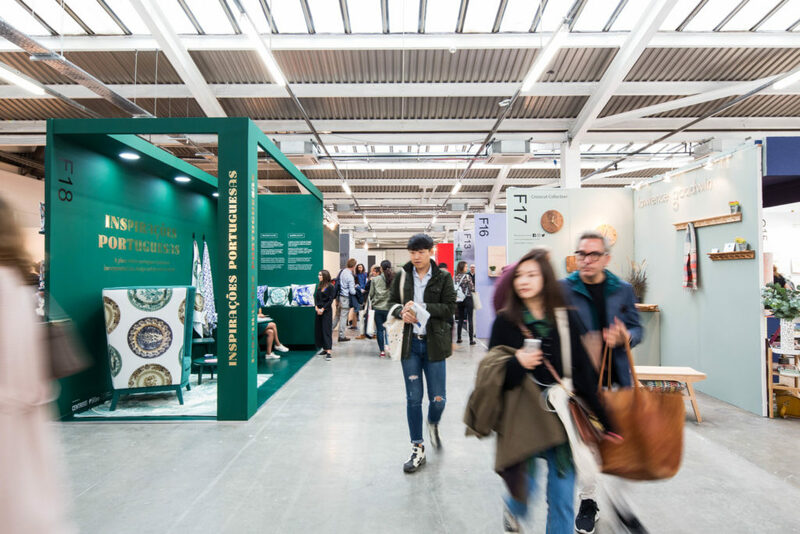 The annual London Design Festival attracts over 27,000 influential retail buyers, architects, interior designers, press, designers and design-savvy public who attend to see the very latest furniture, lighting, textiles, materials, crafts and conceptual installations from around the world. In this world of commercial design, ceramic makers are finding their own position. Olivia Walker’s work very much leans to the art end of the spectrum. 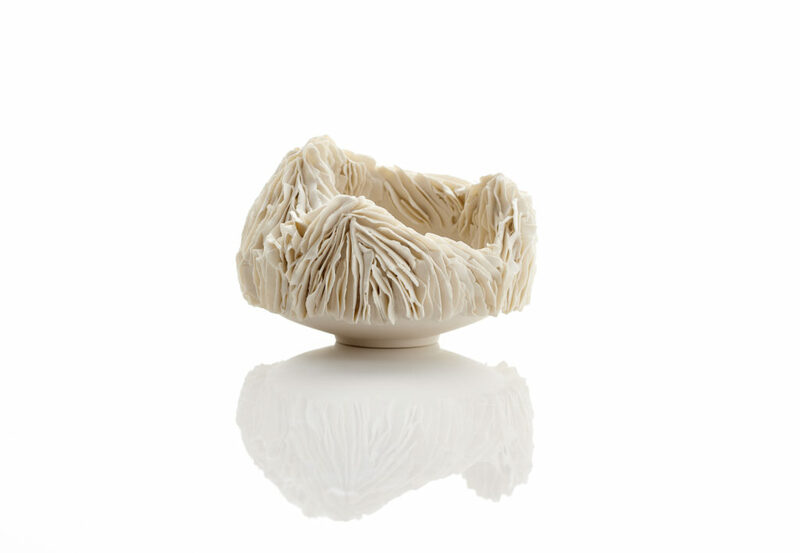 She showed a number of pieces in porcelain and some in a high-fired terracotta. Each piece is thrown on the wheel before hand building onto the surface of the form. Sometimes she will deconstruct the wall of the piece before building on top of it, to create a piece that almost looks decaying. 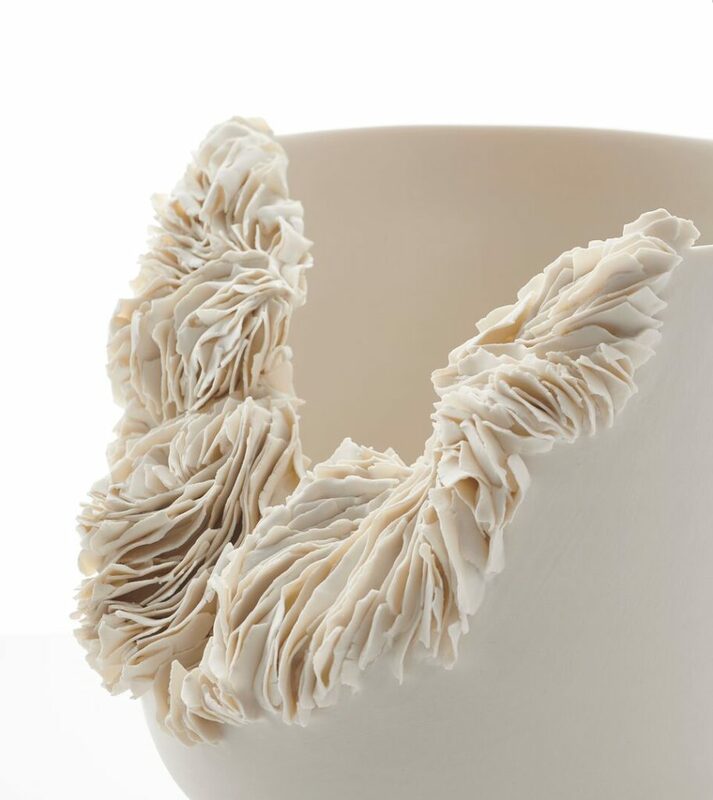 The process involved her applying hundreds of paper-thin shards of clay incrementally to make a surface that has a sense of movement, almost like something is growing over the surface of the piece. 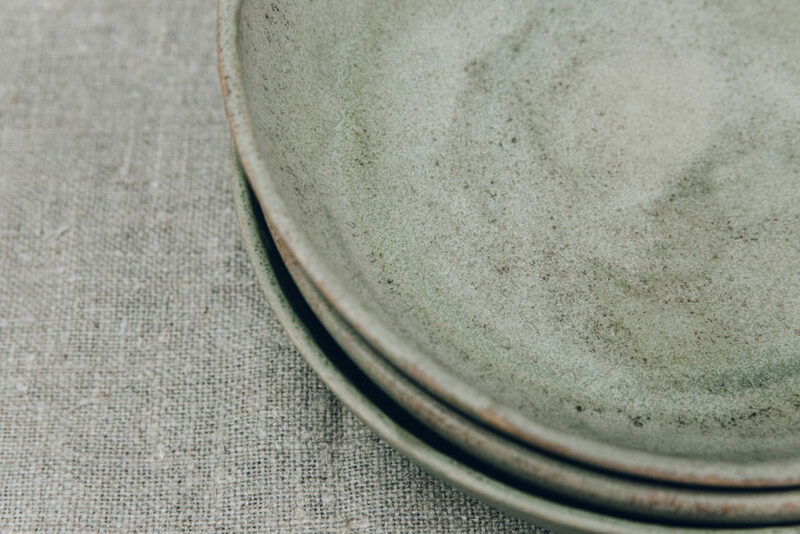 By contrast a very craft based studio in Sheffield is Pottery West; they launched a new ceramic tableware range called Brut at London Design Week. 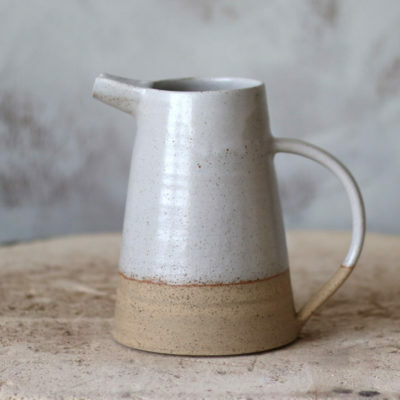 Raw exposed clay with lustered textured glazes and minimal, utilitarian forms are the emphasis in Matt and Catherine West’s new collection. Named after Béton Brut (raw concrete), the resolutely utilitarian photographs of Bernd and Hilla Becher are cited as an inspiration, but most importantly, Pottery West wanted to make a collection that is highly functional for everyday use. The area around the Festival is central to what is known as the Shoreditch Design Triangle, and is seen as a cultural event that celebrates the creative industry in East London. 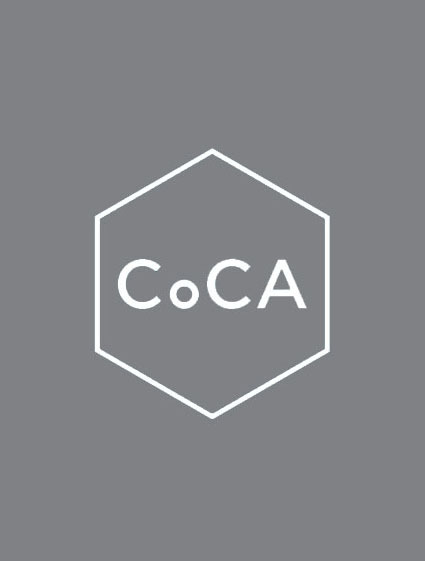 It was established in 2008 as a vehicle for the designers, companies and institutions situated in the East End to collaborate on the promotion of their activities during the London Design Week and at other key periods in the year. Visitors today can expect to see a heady mix of design led furniture, accessories, lighting, ceramics, fashion, jewellery, bags, tableware, cookware, books, prints, flowers, textiles, bicycles, stationery and even chocolate. There are also leading architecture projects, mixed media events and video installations, and ceramics has now firmly taken its own place in this the world leading event. Read the first 2019 issue of the free online magazine for makers and anyone interested in ceramics. In her sell-out London show, Lena Peters presents Saints and Spirits at the David Gill Gallery until 21 December 2018. Read the final 2018 issue of the free online magazine for makers and anyone interested in ceramics. Paul Bailey, who is the editor of Emerging Potters and writes on modern ceramics, went to have a look at this year's Royal Academy Summer Show.